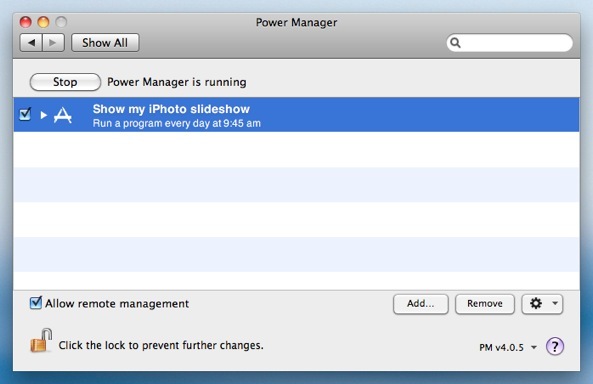 Power Manager can be used to start an iPhoto slideshow playing automatically. 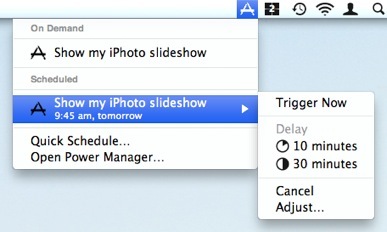 You can create an event that will wake up your Mac, launch iPhoto, and start your slideshow at a specific time or on certain days of the week. 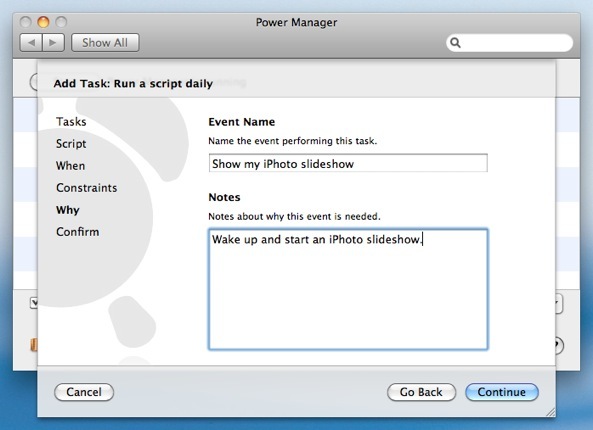 Let's walk through how to create an event to launch iPhoto and to start playing a slideshow. 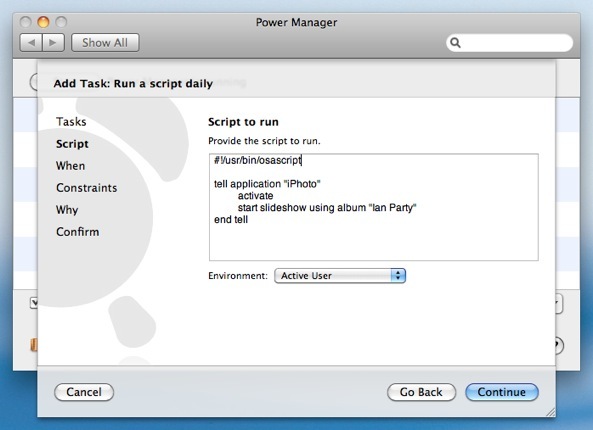 The event will use a short AppleScript to interact with iPhoto, and Power Manager will deal with waking the Mac and running the AppleScript at the right time. 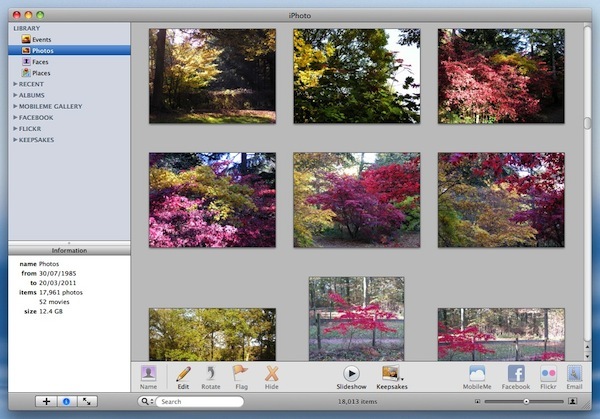 start slideshow using album "Queens Wood, Dinmore"
You will need to change the name of the album to play. In this example, the album is called Queens Wood, Dinmore. Click Continue to the When step. 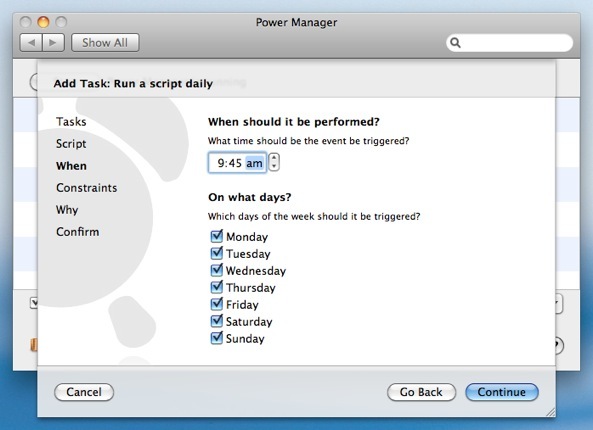 Adjust the time and days to read 09:45, with every day of the week selected. 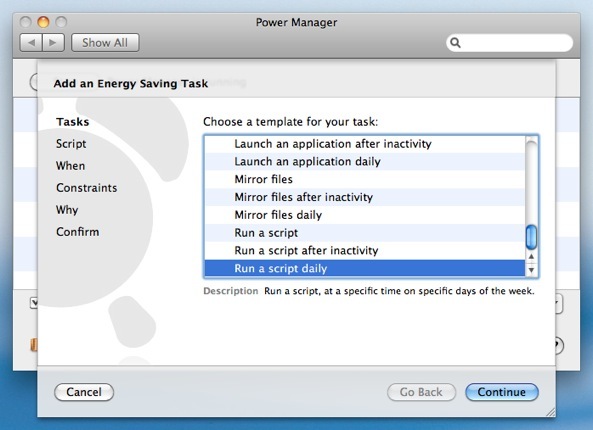 With these steps completed, Power Manager has created a single event. This event will launch iPhoto at 09:45 every day and start the slideshow. 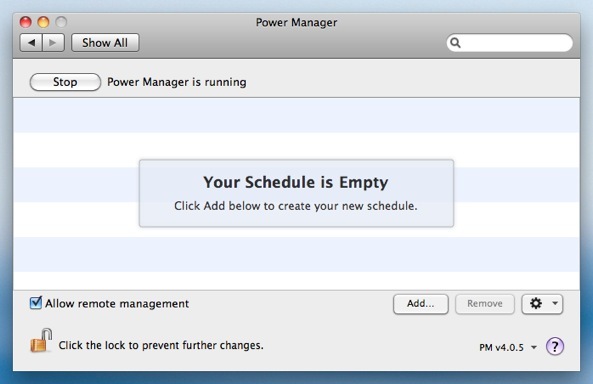 The event will also wake up the Mac, if it is sleeping. This event has on-demand behaviour. 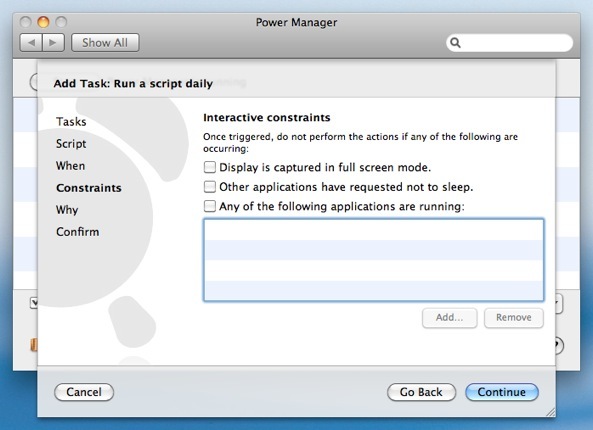 This behaviour means it can be triggered immediately using the Power Manager status menu and through Power Manager Remote. 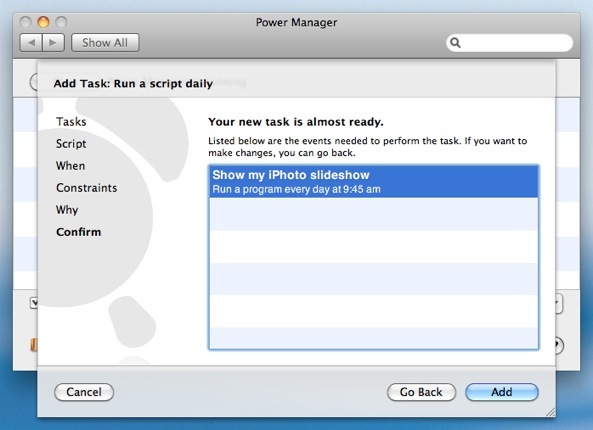 This article was posted in PM4, PMR, Power Manager, and Recipe and tagged iPhoto, Power Manager, recipe, and slideshow.